Ronald A. 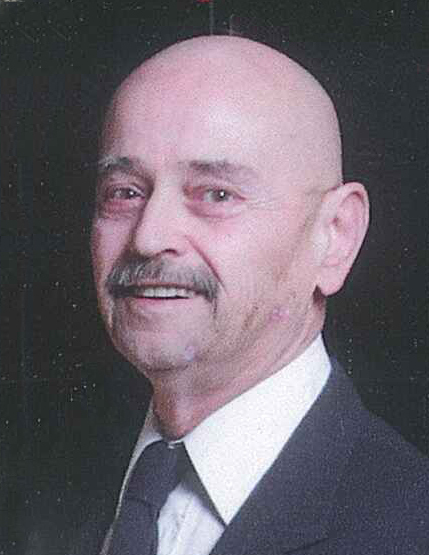 “Shorty” Rinne, age 76 of Breese, passed away at his home in Breese on Wednesday, March 27, 2019. He was born on July 27, 1942, in Centralia, Illinois, the son of Herbert and Alvire (Poehler) Rinne. He married Linda Joiner on October 16, 1976 and she preceded him in death on January 11, 1993. Shorty then married Cleeta Richardson on November 14, 2002 and she preceded him in death on January 3, 2015. Shorty is survived by his children – Keith Rinne and wife Jamie of Breese, Brian Rinne of Carlyle, Jesse Skaggs and wife Brittanie of Mount Vernon, David Skaggs and wife Ravy of Charlotte, North Carolina, and Steven Richardson of Mascoutah; grandchildren –Hayli, Emily, Lucas, Landon, Maddalynne, Brayddenn, Kaylynne, Leevi, Winter, and Ashley; his brother – Wayne Rinne and wife Ruth of Hoffman, and nephew and nieces – Tony, Stacy, and Amanda. He was preceded in death by his parents and his wives. Shorty worked as a forklift driver at Nascote Industries in Nashville, and he enjoyed bowling, golfing, fishing, and camping. Mr. Rinne was a veteran of the United States Navy. A graveside service will be celebrated at 11:30 A.M. on Saturday, March 30, 2019, at Carlyle Township Cemetery with Pastor Jason McIntosh officiating. Visitation will be held at Zieren Funeral Home Friday, March 29, 2019, from 4:00-8:00 P.M, and Saturday morning from 9:00-11:00 A.M. Expressions of sympathy in memory of Mr. Rinne are suggested to the charity of the donor’s choice and will be received at Zieren Funeral Home in Carlyle.